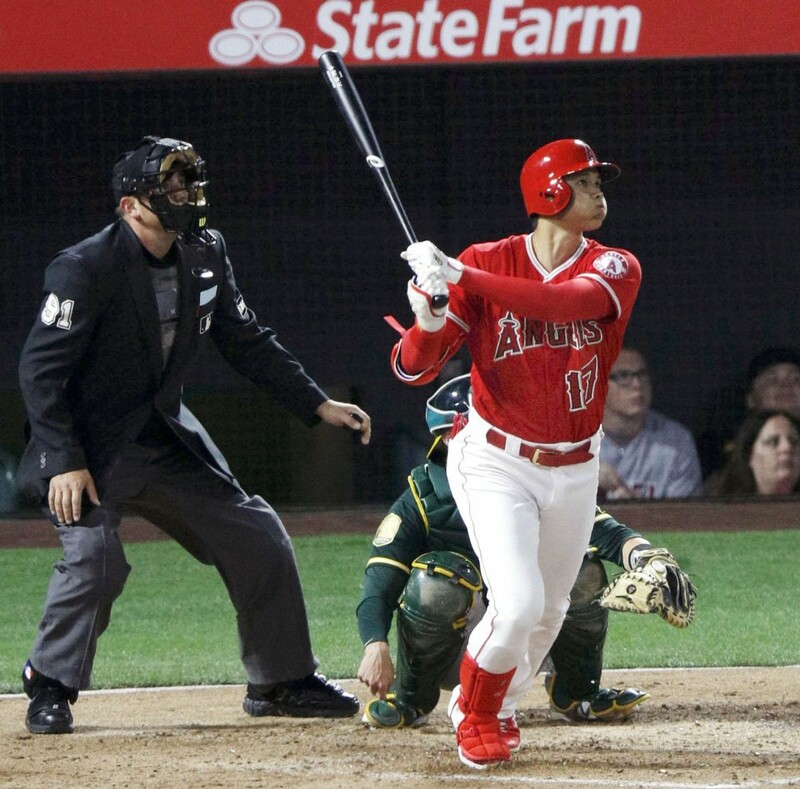 On Friday night, Los Angeles Angels rookie and Japanese two-way star Shohei Ohtani hit a home run for the third straight game during his first at-bat versus the Oakland Athletics. The star playing in his first season in Major League Baseball hit a two-seam, 93-mph fastball from Daniel Gossett the A’s starting pitcher 449 feet to left-center that landed on the fake rocks near the stadium’s camera well. Angels starting shortstop Adrelton Simmons just said, “smoked that ball.” Simmons followed that by saying the center fielder ran toward the outfield fence like there was a chance he could catch the ball, but it was not even close. The Angels won the game in a slugfest 13-9. Oakland manager Bob Melvin told reporters that the display of power by Ohtani was impressive, saying there are not that many guys that can do what he is doing on the mound and at home plate as well. Ohtani has raised his batting average to .462 with six runs batted in at home. In the fifth he came to the plate with the bases full and drew a walk on just four pitches. Ohtani, who is 23, will start for the Angels Sunday on the mound, which will be his first start at home, but second time he has faced the A’s. He beat Oakland last Sunday at Oakland Coliseum allowing three hits and three runs over six innings, striking out six and walking one. Mike Scioscia the Angels manager is not planning to use the Japanese star on Saturday as the designated hitter to give him an opportunity to extend his streak of games with a home run. However, Scioscia did say he would be open to giving Ohtani the opportunity to hit in a game prior to or after a start at some point later in the season.